rcasm is one of my spiritual gifts, I’m freaking amazing. (And by the way, I’m being sarcastic – for those of you who have special needs). To be specific, researchers found that sarcastic interaction between team members can have a significantly positive impact on a team’s ability to do creative problem solving. In the study , participants were asked to do tasks that required creative problem-solving; yet, before these tasks were to be accomplished they divided participants up into 3 groups, who were exposed to 3 conditions: (1). Sarcastic; (2). Neutral (control group); or (3). Sincere communication. The research showed that those who were exposed to sarcastic conditions consistently outperformed the other 2 groups in problem solving. Columbia University’s Adam Galinsky (who contributed to the study) said, “this suggests that sarcasm has the potential to catalyze creativity in everyone.” Quite simply, if problem solving is a huge part of your job, you may want to pay attention. For example, at Substance, our pay-scales and raises are now determined by sarcasm. I force all of my employees to start every meeting by affirming false attributes in one another. And if someone’s doing a terrible job, I photoshop their face onto an “employee of the month” poster that gets pinned up in the bathroom. When that particular staff member sees it, their temporary joy gives way to a confusing blend of focused determination. And Boom: Productivity ensues. But seriously, can sarcasm really increase productivity? Most of us have at least one sarcastic coworker who drives us nuts or a cynical relative who makes us want to jump off a cliff. So, there’s gotta be a few downsides, right? Keep in mind there’s a difference between sarcasm and “chocolate covered criticism.” Sarcasm is like any other form of communication. When unhealthy people use it as a substitute for honesty (or a cloak for whining), it’s bound to have the opposite affect. And the research seemed to confirm this. the Apostle Paul advised us, there are some times when it’s smart for us to keep our mouths shut (Eph.4:29). Sarcastic opinions are always irritating when they’re coming from certain people. People don’t care how much we know until they know how much we care – no matter how funny we think we are. Obviously, my book Pharisectomy oozes with sarcasm. (And wait until you read my new book “Broken Escalators” this Oct!) But, in Pharisectomy, I spend a lot of time poking fun of churches. So when I first released it, I wondered if an audience (who didn’t know me) could handle the jabs. After all, when I’m sarcastic in person, I have the added opportunity of smiling at people – and if necessary, I’ll add an awkward side hug. But how would this work in a book? For example, it’s always bothered me to read books and blogs that critique the church – coming from Christians who aren’t successful pastors. It just feels… well, …irritating. It’d be like listening to Miley Cyrus talk about the president’s foreign-policy. We simply don’t trust her on that topic. (Heck, we don’t even trust her to make good music). And in the same way, none of us want to hear jokes or critiques from people who don’t have the skills to build a life-giving church (nor a desire to help churches when they aren’t). So once again, when people with low levels of credibility and love get sarcastic, most of us would rather listen to Miley Cyrus (in defense of Miley, I still rock out to “Party in the USA” when I’m alone in my car). But it still begs the question: how could sarcasm cause a team to “significantly out-produce” other groups of people when it comes to creativity and problem solving? 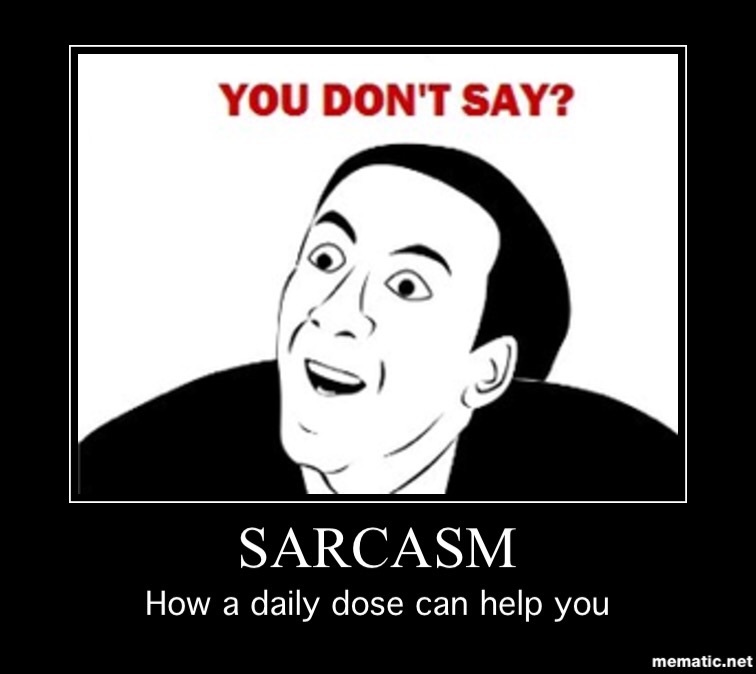 One of the studies’ authors suggested that, sarcasm requires a person to think more abstractly. When a friend says, “Wow, you’re a real charmer!” (right after you got caught picking your nose), it requires your brain to translate a bit more. In other words, sarcasm causes people to think divergently, sometimes paradoxically, which perhaps causes people to approach their problems from a different angle. So, the next time you find yourself stuck, just go around the room and tell everyone which celebrity supermodel they look like the most. 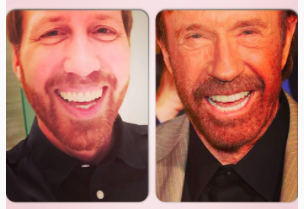 (I look very Chuck-Norris-like). Keep it positive. And it just might jumpstart a whole new wave of creative solutions.